Picked-up the new Galaxy Note 4 (which is a dream by the way) along with an OtterBox Defender to protect it. I know that’s two Samsung devices in a row now, but I figured I would stick with one Manufacturer this iteration to see if there is any synergistic advantage in doing so. 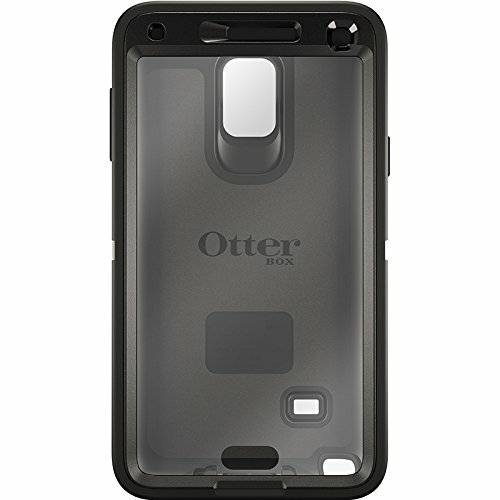 The Defender is the most rugged of the OtterBox line and features a polycarbonate inner shell, a rugged/rubberized outer shell, a built-in non-stick screen protector and a holster clip. The screen protector is thick and does requires a little extra force when using the Stylus. Also the stylus has a tendency to scratch the display leaving traces of what you were writing behind. Thankfully these scratches are only temporary and can be removed with a quick smudge of your finger. Oddly enough, the cut-out for the finger print sensor seems to make swiping your finger a little more accurate, but that’s probably due to the fact that you are more conscious of where your finger needs to be when using it. Anyway, I go into all the pros and cons in the video below where I go “Hands On” with this bad boy. Enjoy!